Similar in feel and function to our best-selling Diaper Cover, Thirsties Duo Wraps are completely waterproof yet remain breathable, pliable, and very comfortable for your baby’s delicate skin. With the adjustable rise you will only need two sizes from birth to potty. Leg gussets provide advanced leak-proof protection and bindings are super-soft against your baby’s skin. Pairing the adjustability in rise with our signature leg gussets, makes this wrap the most versatile on the market. 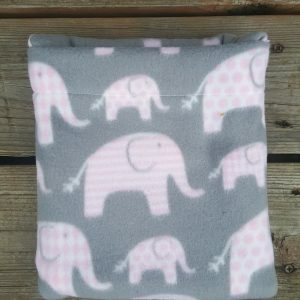 Whether your baby is tall or short, thin or chunky, this cover will keep those messes contained! Thirsties Duo Wraps are a very trim fitting cover. They are the preferred wrap for trifolded prefolds or trim fit diapers, such as our Natural Fiber Fitted. For bulkier systems and/or for nighttime double stuffing, we recommend Thirsties Diaper Cover, which has a roomier fit. The inside of Duo Wraps can be wiped clean between uses allowing for fewer wraps in rotation and greater affordability. We recommend one cover for every 3-4 diapers in rotation (excluding diapers with waterproof exteriors). Both hook & loop and snap closures are available on Thirsties Duo Wrap. While many families prefer hook & loop closures because of the simple, secure fit they provide, snap closures do have a few advantages of their own. They are pretty much indestructible and are more unyielding than our hook-and-loop closures, making them more challenging to unfasten for a toddler who prefers to go naked. 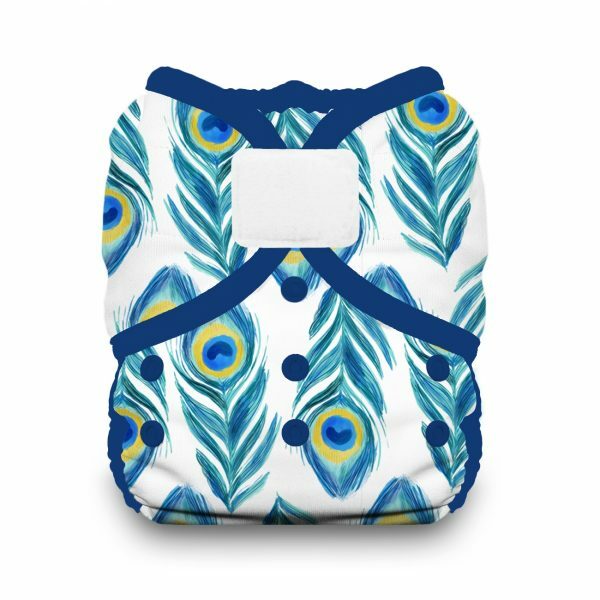 In an effort to maximize affordability of cloth diapering Thirsties created our Duo line. This means all Duo products are available in 2 sizes which will cover your baby from birth to potty. Each of the two sizes in the Thirsties Duo line feature three rows of snaps to adjust the rise to your baby’s shape; it is like having THREE sizes in one. Start Your Diaper Delivery Service! Give your family/friends the gift that keeps giving!